Hello Peoples! It’s the end of October! 🙂 The snow storm was a funny surprise, but it was a great month. I was walking to the bakery three days ago. 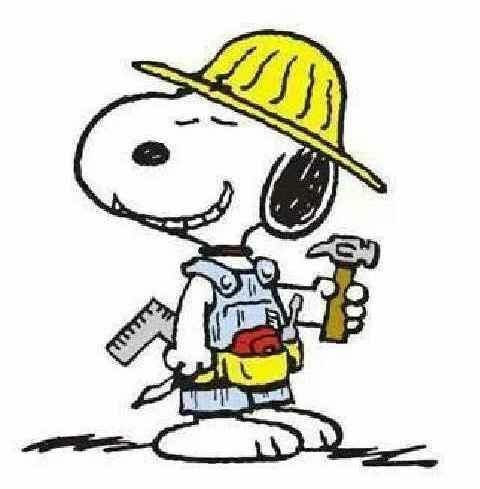 I was in front of a home where there is a considerable amount of renovation happening. There was heavy equipment in the front yard and sidewalk, so I walked around it. When I took a step onto a pile of leaves, my foot was suddenly in wet concrete!!! I yelped and pulled my foot out of the mess. My shoe was half covered in gray concrete! One of the construction workers was on the roof of the house. I yelled up to him. Me: Hello! I stepped in concrete! Do you have a water hose, so I can rise the concrete off my shoe? Construction worker: Concrete??? We haven’t poured any concrete. It must be mud. Me (laughing): Well, it looks like wet concrete. Do you have a water hose? Construction worker: Yea. Walk around to the back of the house and tell the guys back there. They’ll help you out. I walked around to the back of house, wondering how fast concrete dries. I was certain it was concrete, because of the color. We don’t have gray dirt! Construction Worker Number 2: Concrete!!! We haven’t poured concrete!!! Yes, I do have a hose. Come on over here and I’ll clean your shoe. Me (still laughing, pointing to my shoe): Does that look like concrete? Construction Worker Number 2: It looks like what it is. Me (a puzzled expression on my face): Mmm. Construction Worker Number 3: Concrete!!! We didn’t pour concrete!!! Yes! Yes! Rinse off her shoe. We can’t allow a perfectly good walking shoe to be ruined. As he spoke, construction worker number 2 was rinsing off my shoe. He then handed me a towel to wipe off my shoe and pant leg. When I finished, I thanked him and returned his towel to him. I walked around to the front of the house to continue my walk. Construction worker number 3 was putting a board over the wet concrete so no one else would step in it. Construction Worker Number 3 (chuckling): No more mud pies. We can’t have you making a mess! Hop, skip or jump on over and meet Amy. She’s a law student and she’s got herself a fun and interesting blog. She writes short stories, that are real life experiences, that make me smile and she posts photos at times. She does write a book review now and then. 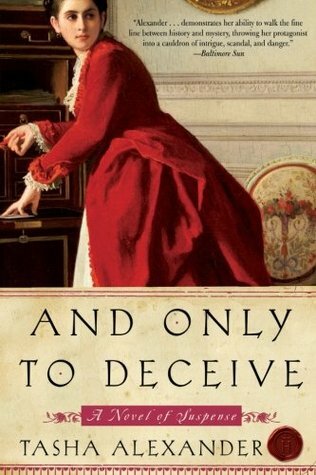 Lady Emily agreed to marry the Viscount Ashton, Philip, to escape her dreadful mother. Only six months after they are married, Lady Emily is a widow. Her husband, Phillip, passed away from a fever whilst he was in Africa. After his death, she discovers his journals and learns there is so much more to him, more than she realized. He was very much in love with Lady Emily and he was a scholar and he had an interest in antiquities. 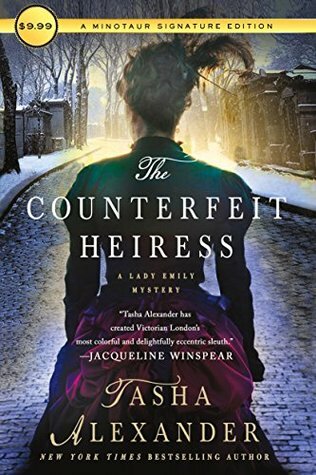 As a result of reading his journals and learning more about her late husband, Lady Emily finds herself involved in a mystery that involves stolen antiquities. The book is well researched. I loved this book! If you decide to read the series, I recommend you read this book first. It will give you needed background into Lady Emily and Colin. I thought the story had a wonderful romantic atmosphere. And then, there’s mystery and travel. And I don’t want to forget the mysterious Colin. There is a journal included in the story. I enjoyed reading Philip’s journal. I though it offered me a clear look into the man the reader will never meet. Estella Lamar is a famous adventurer, traveling the world, her exploits on the front pages of newspapers. One night she arrives at a masquerade ball, to the delight of many. However, Cecile, Estella’s closet friend encounters Estella at the ball and exposes her as a fraud. The imposter runs from the ball and later is discovered dead ~ murdered. Lady Emily, along with Colin, is attending the ball and soon find themselves investigating the murder of the mysterious imposter. This book was so good. It grabbed my attention and held it. It is so captivating. As I read the story, I was with Lady Emily and Colin every step of the investigation. I knew I would never solve the mystery, so, I walked with them, gathering clues, finding evidence as they did. The book is so well written and well crafted. And! I love the cover art. Lady Emily is a little unorthodox for the time. She examines dead bodies and investigates crimes scenes. Ladies didn’t do that! Shocking, I know! Colin is a take charge kind of guy. Him and Lady Emily work well together. Jeremy, a friend, is great. 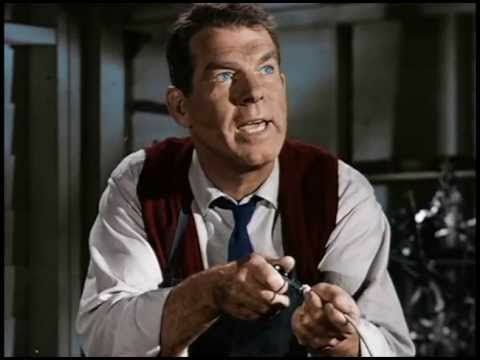 His bantering is fun and he helps solve the mystery any way he can. The mystery is creepy and the story moves along at a good pace. At the end of the book, when all is revealed, I was aghast. 5 ***** horrifying stars!!! I will be reading books by this author in the future. This book was comical. I found myself chuckling throughout most of the story. After her divorce, Tallie Graver starts her own cleaning business. 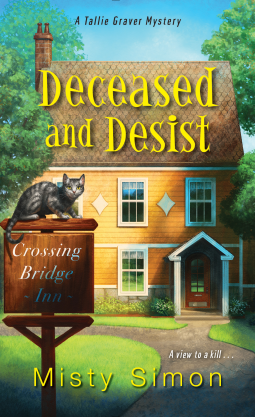 While she is cleaning windows at the bed & breakfast, she sees a man dead on a bed, his neck broken. She’s convinced the man was murdered. However, the authorities are convinced he died from a heart attack. Thus begins an entertaining mystery with Tallie, a lovable sleuth and her best friend Gina. Tallie’s family own a funeral home and they drive her nuts, but she manages to investigate around them. This is a fun mystery with likable characters and plenty of entertaining situations. 4 **** stars! Hello Peoples! It is cold! Wowzer! There is a horrible wind chill outside today. Brrr. Well, as many of you know, Rick and I own a historic home. Yesterday we decided to start a new home improvement project. What were we thinking??? Our dining room, as far as we know, has always been carpeted. I have suspected for awhile, since we bought the house, there be hard wood floors under that carpet matey! 🙂 So, yesterday afternoon we ripped up the carpet and the padding. Mmm. We do have the original hardwood floors for the house. They do need a little work. They’re painted grey around the entire edge and stained and painted brown in the center of the floor. Apparently, the original wood burner for the house was in the dining room. There is a square hole that has been covered up with a square board. So, we have little work to do! 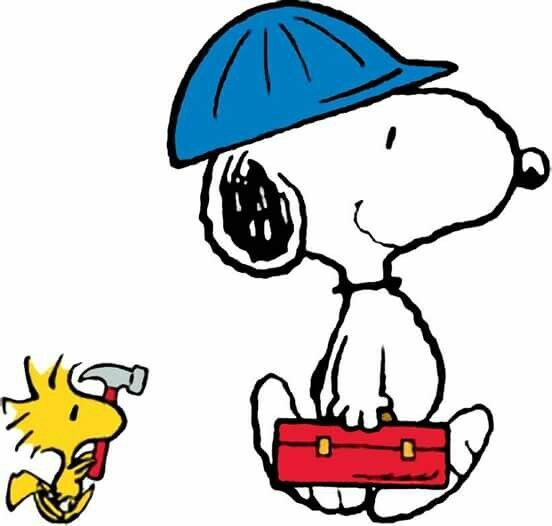 Right now, we’re trying to decide if we want to repair the covered hole and refinish the floor or install new padding and carpeting. Mmmm. Rick is working in the dining room right now, measuring, sketching and thinking. As many of you know, I frequently walk to the bakery and enjoy a decadent, large hot dark chocolate! The bakery is my favorite place to read when I leave our humble abode. I can sit and read for hours and drink chocolate. Well, the bakery has a new employee. I will call her T. I love her to pieces. She’s friendly, polite and respectful. T talks to all the customers and gets to know them. Well, T soon realized I was ordering hot dark chocolate frequently and one day T said to me, I’ve decided to call your hot chocolate, “tall, dark and handsome!” We laughed so hard! 🙂 From that day forward, every time I order the chocolate, I order a tall, dark and handsome! All the employees now know exactly what a tall, dark and handsome is. Oh my word! 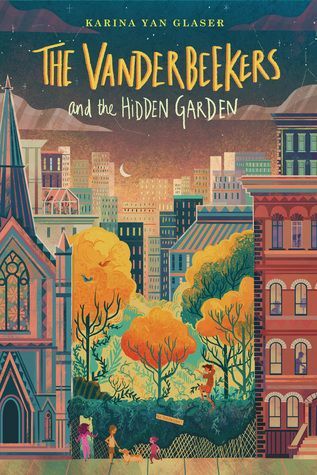 If you enjoy kid’s chapter books, you should read, The VanderBeekers and the Hidden Garden, by Karina Yan Glaser. This is the second book in the series and I loved it. Poor Mr. Jeet, a most beloved neighbor, is seriously ill. The VanderBeeker children get together and think of a plan to help Mr. Jeet recover. What a great plan it is! 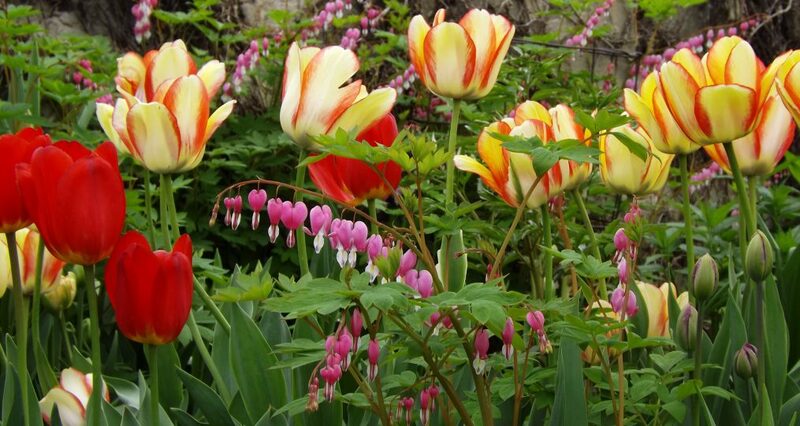 They decide to create a garden, on an abandon property next to the church. They encounter a couple of obstacles and there are some difficulties, but the kids persevere! They have so much love in their hearts for Mr. Jeet. There are precious illustrations in the book. Highly recommend! 5 ***** stars! Complimentary copy from Kensington/Lyrical Underground through NetGalley. I’ve always been intrigued when mysteries are in an attic or a secret room or a hidden stairway. So, when I read the title of this book, I decided to read it. I mean really, The Body In The Attic! What more could a mystery reader want? And! It’s the first in a new series. Jazzi and her cousin Jerod flip houses, so much of the book is describing the work they do. They purchase the home of Cal Juniper and have every intention of flipping it when they are finished cleaning out the debris and doing the work to ready it for a sale. 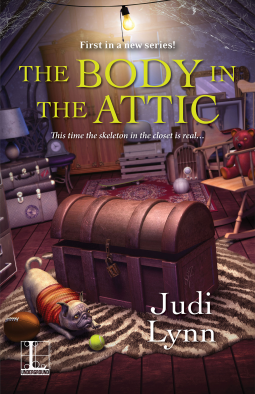 While checking out the attic, a body is discovered in a trunk! It is soon revealed, it is the remains of Jazzi’s Aunt Lynda who went missing twenty-six years earlier! In the beginning the story intrigued me. This mystery is a very cold case. I wasn’t certain the detective in the story was going to be able to solve it. He persevered. And! He had Jazzi’s support. As the story continued, I was a little disappointed. There is food and family and friends gatherings. The work on the flip house is described, but the mystery didn’t make it for me. After a break-up with his girlfriend, Jazzi becomes involved with Ansel. I thought the relationship was superficial, to be sure. There were several adult comments in the book, I thought were unnecessary, so I would not recommend the mystery for teens. 3 *** stars! I received a complimentary copy of this book from Kensington through NetGalley. Opinions expressed in this review are my own.